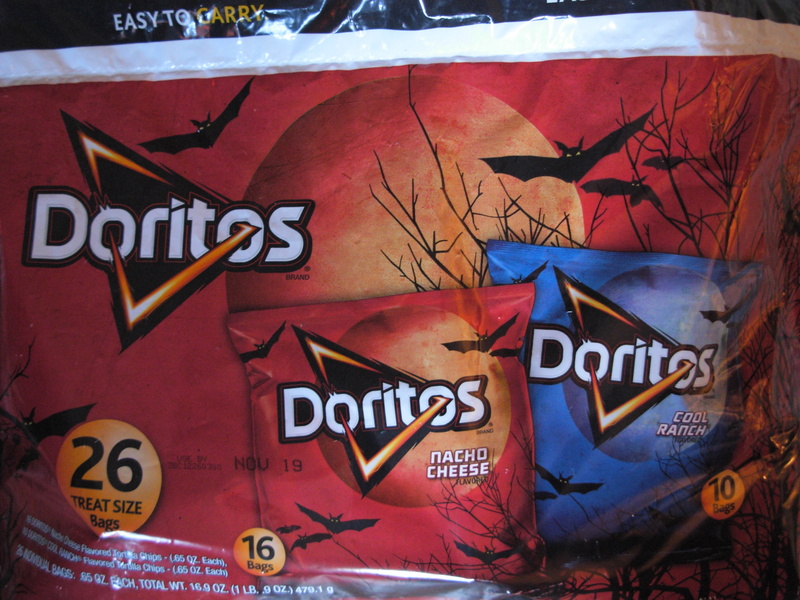 Many of you may remember the 1990s, when the Universal Monsters, Pepsi-Cola and Frito-Lay Chips were inseparable. Recently, that relationship has been revived, although to a lesser extent. 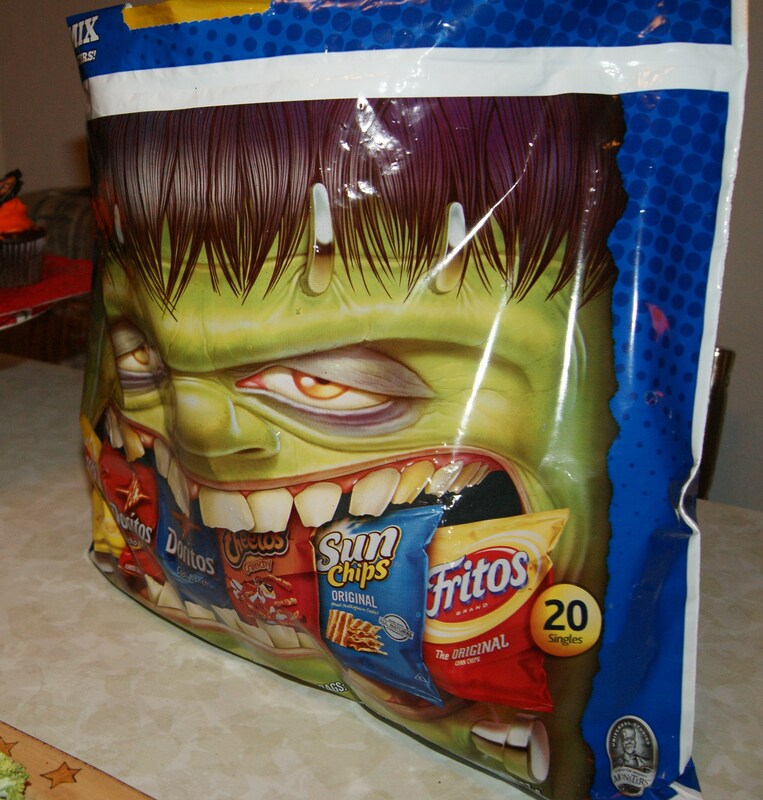 Whilst Halloween shopping this past weekend, we were pleasantly surprised to stumble upon these monster-sized bags of chips bearing not only a Frankenstein image, but an official Universal Studios Monsters logo. 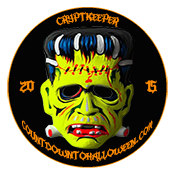 And while the artwork doesn’t look much like the classic Karloff Monster, it is nice to see Universal getting a shout-out from food makers, especially at this time of year. Each sack holds 20 individually-packaged bags of chips. 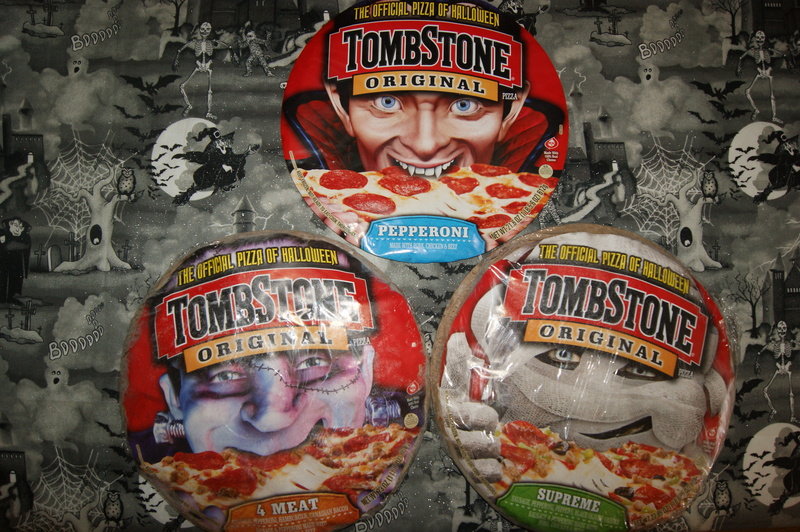 If you don’t get too many Treaters, these might make a nice surprise for the kids that do show up, and they would definitely be good for a Halloween Night party. 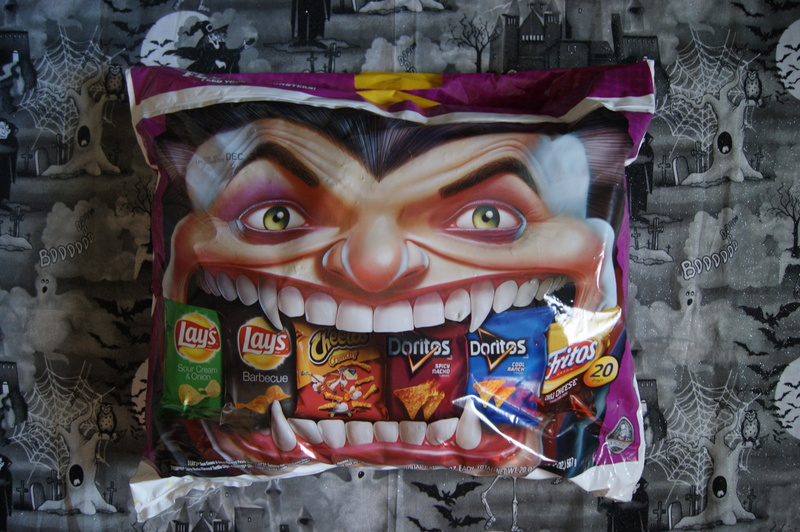 Another Universal-licensed chip sack features Dracula, but the artwork doesn’t look much like the Universal Dracula or Bela Lugosi. These are available while supplies last at various grocers, including select Wal-Mart locations.